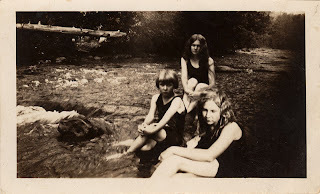 John Earl's mom and her sisters along the banks of Hurricane Creek in 1916. 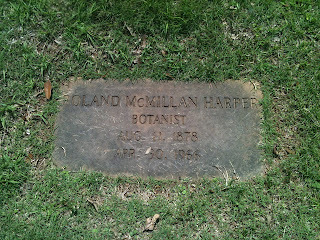 Botanist Roland Harper (1878-1966) is buried alongside his wife Mary in Memorial Park located in the Hurricane Creek watershed. 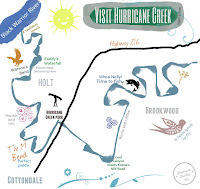 His work with plants identified significant specimens along Hurricane Creek. 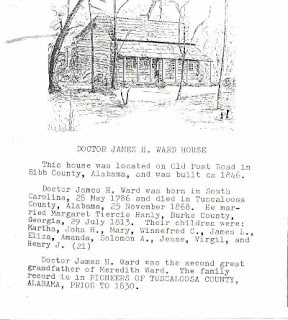 The home of Dr. James Hanley Ward, which was moved to the banks of Little Hurricane Creek by Byron Arnold, who named it "Hurricane House". 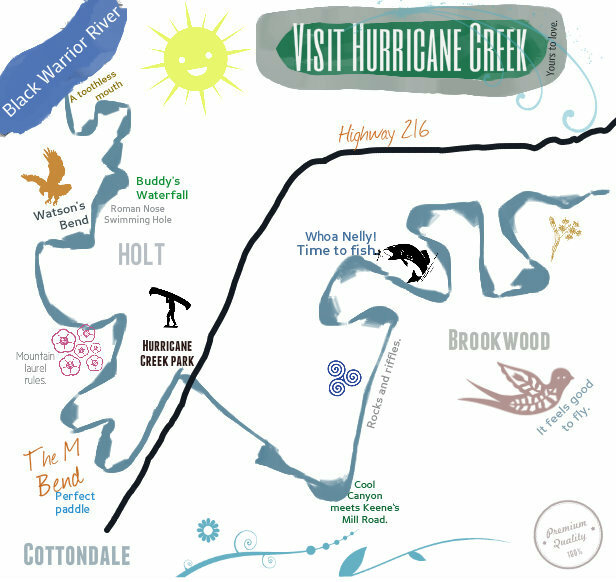 The stories of Hurricane Creek are secrets told only to the few who care to stop, look, and listen. Paddling down the creek with one of the original "strokers". 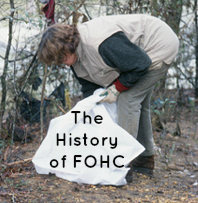 To learn more about the history of the creek, enjoy our oral history podcast series, The Creek Conversations. The old longleaf pine trestle bridge which burned down. Image available at the Alabama Archives.